When I was pregnant with Buds, we registered for a Bjorn because I figured it was the easiest way to walk the dog since we were living in a high-rise and I didn’t want to deal with a dog and the stroller. At the time, I had no idea that there was a whole baby wearing movement or that there was a Bjorn versus Ergo debate happening, I just wanted something practical. Buds and I both loved it, him in the carrier made my life easier, and I ran many an errand with him strapped to me. Also, the baby snuggles weren’t so bad either. 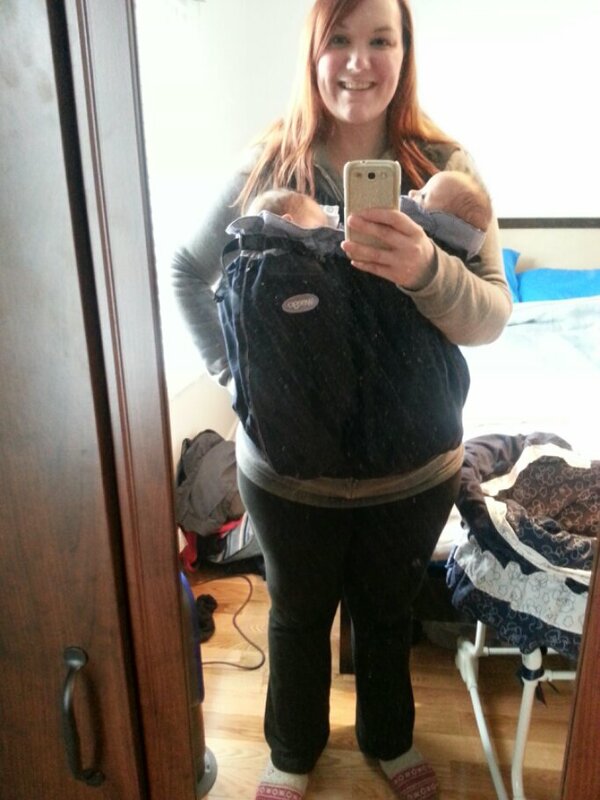 I was bummed when I found out we were having twins that I wouldn’t be able to use a carrier until someone told me there are twin carriers. So, a little google later, and I found the Weego twin. Today, the three of us gave it a try! The girls and I trying out our new carrier! My view from the top! 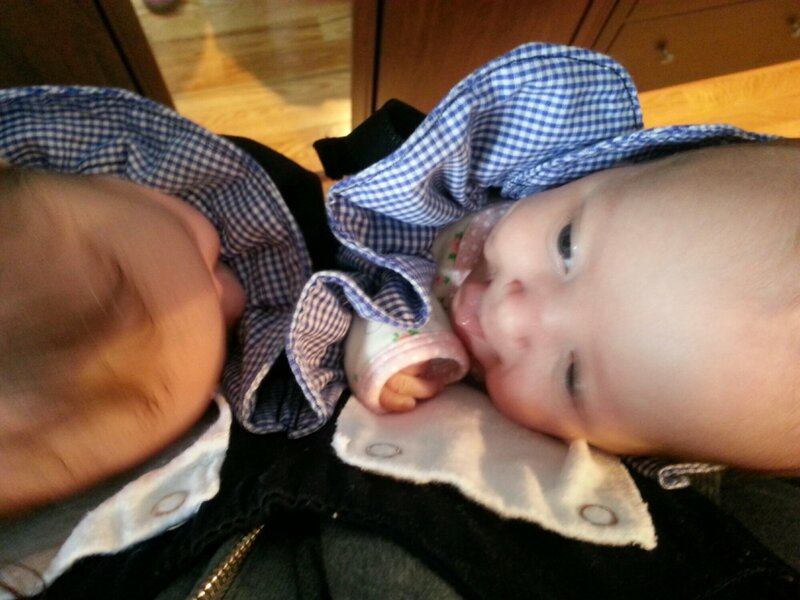 This entry was posted in Baby love, Home is where the heart is, Mamahood and tagged baby wearing, twins. Bookmark the permalink.